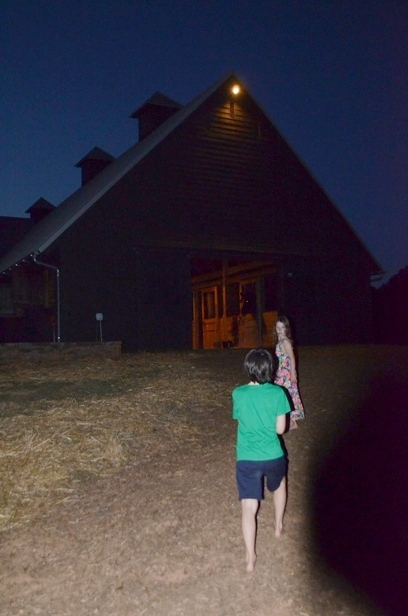 The barn was dark, but glowed. The muddy dirt and smell of horse manure somehow in a strange way grounded us, freed us. The earth was beautifully sculpted into subtle hills that framed the dark barn, and embraced the spare orange lighting. It was here that all our hearts became free. To see architecture so beautifully done- and so respectful of it’s surroundings is like entering into heaven for me. We all as a family entered this heaven together… roaming and circling in and out of the barn. 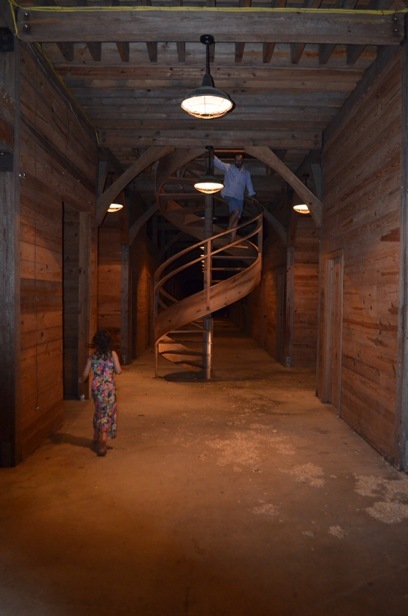 Climbing the sculpted wooden spiral stairs that led us all to the barn’s loft… with large windows and open views. 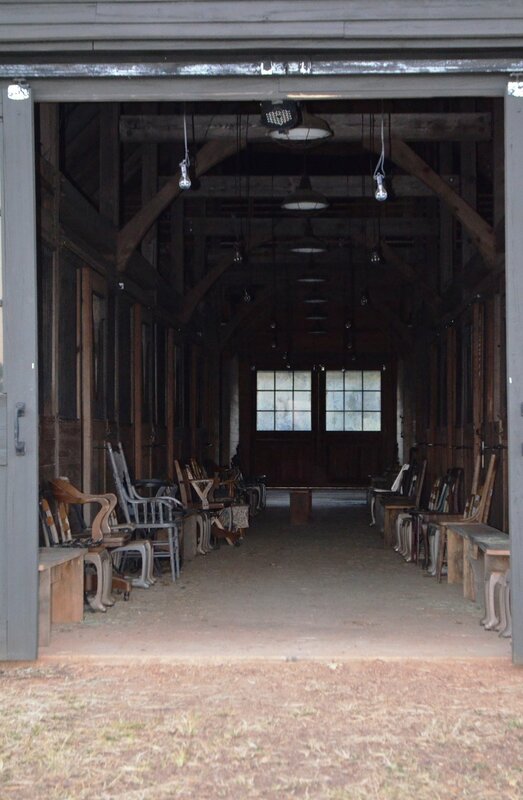 Then back down again to the dusty and muddy floor below – where smells of sweet hay and horses made us smile deep. We petted, hugged and fed Thunder the black stallion. We looked out to the hills and up to the starry sky. It was a lovely weekend. 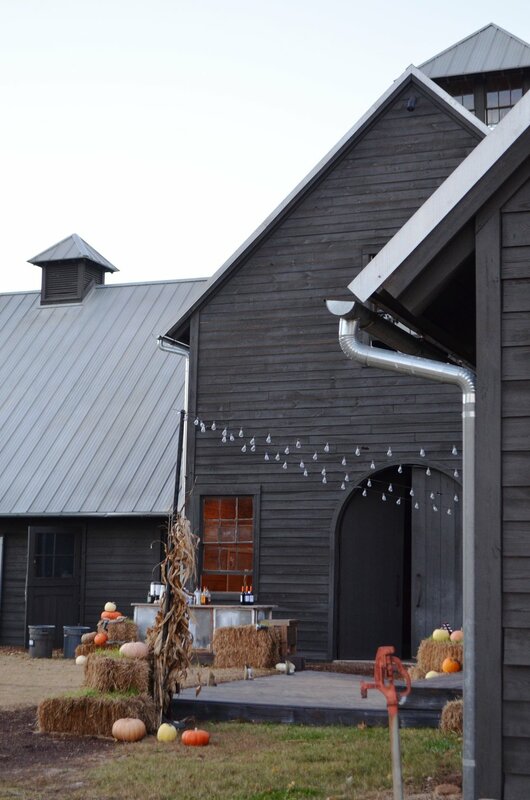 This is serenbe. This is a beautiful place. This is where thoughtful architecture resides.